With the increasing demand for “made-to-order” apparels and outsourced manufacturing, mainstream fashion houses globally has made tailoring taken the back seat in the fashion industry. However, the art of tailoring is never lost. 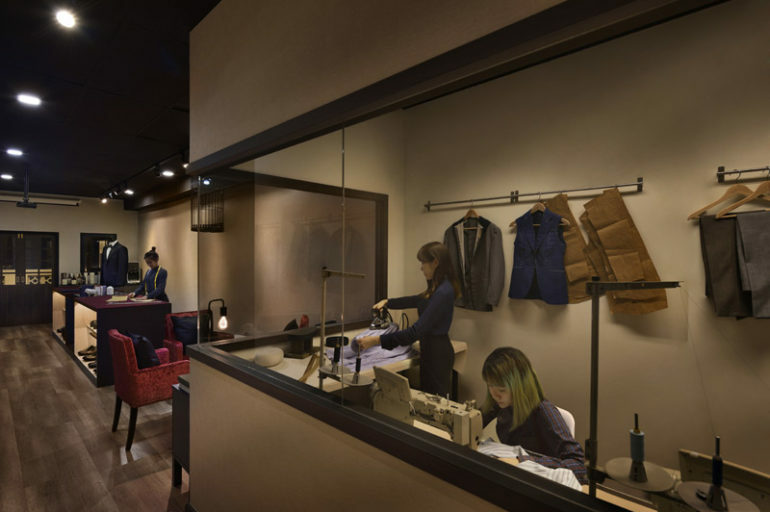 One such story is The Prestigious, Bespoke tailoring in Singapore who saw their initial 3 cohorts of Apprentices to be all female. 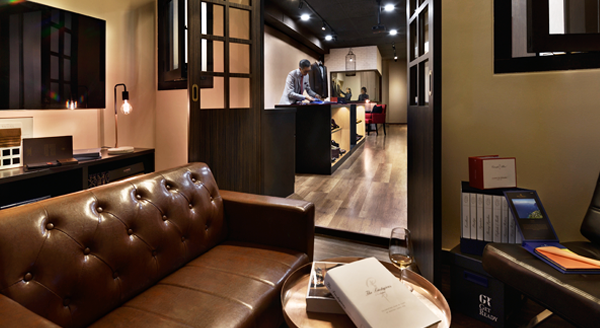 Founded by Master Tailor and former President of the Singapore Master Tailor Association, Thomas Wong, The Prestigious is dedicated to crafting bespoke clothing to extracting standards. 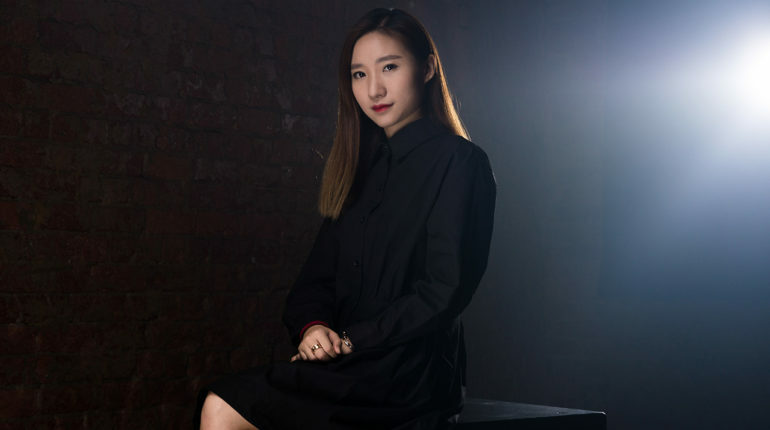 LadyBoss caught up with The Prestigious Team about the tailoring industry and how women is shaping the industry and two female junior tailors, Gong Yehua and Chung MinTzu, on their tailoring journey thus far. Q: Tell us more about The Prestigious. What are your services, how long you’ve been around for and who are your customers? A: The Prestigious is a contemporary bespoke tailor helmed by the illustrious tailor and LASALLE menswear tailoring lecturer, Mr Thomas Wong. Together with a team of 8 hand picked crew, we adopt only authentic and often laborious techniques that stay true to the demands of bespoke wear. Over the last 20 years, Mr Wong had the privilege of working on commissions for captains of industries from the region and Europe. 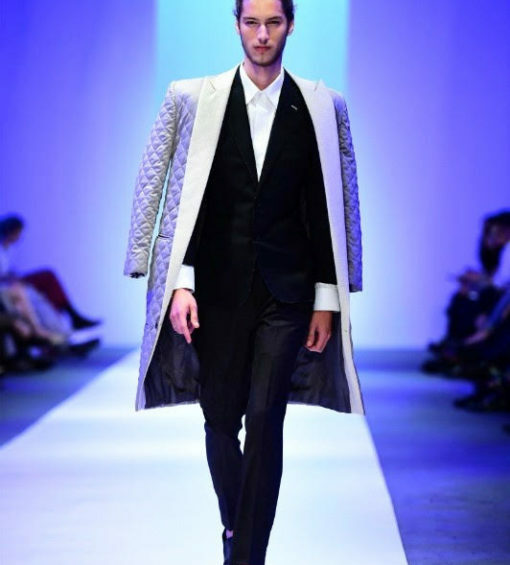 The newly re-launched THE PRESTIGIOUS, together with its team of Apprentice and Junior Tailors was founded in 2014 upon the graduation of LASALLE College of the Arts’ Pioneer batch of Menswear tailors. Q: Tell us more about the Bespoke Apprenticeship. How long has the programme been around and what are the criteria to be chosen? A: The Apprenticeship program is a full time, salary and benefits afforded position established to nurture Master Tailors. We would consider both fresh graduates and mid-career professionals candidates who showcase potential for mastery. Fresh graduates, who without exception top their university class, will already possess strong fundamental skills especially in the area of handicraft. With focused practice, we seek to alleviate that capability to the level of beauty. Through the years, Apprentice receive instruction in the area of drafting bespoke patterns to ensure that each tailored apparel sits beautifully on the bodies of our esteemed patrons. Our requirements for mid-career professionals switching to tailoring is significantly more stringent given the higher personal sacrifice and cost of failure. Every member at The Prestigious is required to possess the skills required to beautifully craft a commission from start to end independently. Tailoring is manual, tough and laborious. Every apprentice has their fair share of doubt, frustration, anguish and tears made all worthy with the expressions of gratitude and satisfaction from patrons that matter the world over. Professionally, The Prestigious invests significantly in each Apprentice not just in the area of technical competencies but more crucially in establishing a future for each member that sees every talent nurtured for ownership within the group. Q: What sparked the idea of the Bespoke Apprenticeship? A: Mr Thomas Wong established the menswear & tailoring speciality Programme at LASALLE and upon the pending graduation of his Pioneer cohort, was disturbed knowing that with most Houses outsourcing their work, his graduates would put to waste the foundations imparted during their college days. So as to allow his students an avenue to practice and sharpen this capabilities, Mr Thomas Wong elected to create an Apprenticeship program for top graduates with a passion for craft and a willingness to endure hard work. This passion to nurture next generation talent gelled with his desire to revitalise good tailoring in Singapore where works would be proudly crafted in-house, instead of tailors being but mere order takers and project managers. Q: Tailoring has predominately been a male dominated industry, how has The Prestigious benefited from having majority female tailors in the house? A: From the start, it had not been our expressed intention to recruit a majority-female team. By chance, most degree candidates at Lasalle’s program were female – in fact, of the last 4 cohorts, we could find only one that offered male candidates who met our standards. The face of tailoring is slowly evolving even at Savile Row. Early last year (2016), Savile Row welcomed Kathryn Sargent, representing the first time a female tailor takes residence in the Row and prior to that, she served as the first Female Head Cutter at Gieves & Hawkes, or any House on the row for the matter. Also, in 2011, Chinese born Yingmei Quan outshone all other competitors to clinch the Savile Row Golden Shears Award. Yingmei is a partner at Savile Row tailor, Welsh & Jefferies. Tailoring requires patience and love for detail. It demands clear focus and all consuming devotion which, perhaps, finds greater abundance in our female counterparts. A: The Prestigious is eager to nurture talent and would be Glad to work with institutions to develop upcoming tailors. We certainly work aggressively with LASALLE given our affiliations with the Institute but want to expand our reach to any talented party. Although our program is young, we have gained significant recognition locally & abroad that Savile Row Mill HOLLAND & SHERRY is coming together with us to launch THE PRESTIGIOUS X HOLLAND AND SHERRY PRIZE, a Tailoring & Fashion prize-scholarship open to all final year fashion degree students. We are much excited about this opportunity since it is a first time an European House is offering a local/Asia award to nurture next generation tailors. LASALLE in partnership with Goldsmith offers full time degree program in Tailoring, and taught by Mr Thomas Wong. 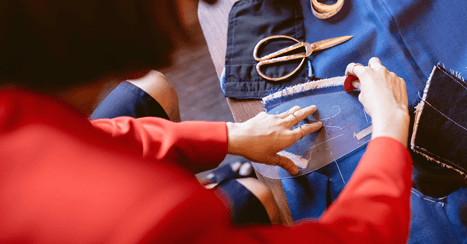 All fashion students undergo elementary foundations in sewing and a small group night progress to the tailoring speciality based on interest and capabilities. Of the approximately 150 fashion students at LASALLE annually, only about 7-12 are admitted into the tailoring speciality program. The tailoring program emphasises craft capabilities and is grounded in traditional British tailoring techniques but given the many demands of college education, does not allow for the concepts of bespoke tailoring to be well covered . The SHORT COURSE (in tailoring ) at LASALLE is taught by Mr Thomas Wong or Marcus Lio, a lead tailor at THE PRESTIGIOUS. The program is separated into 3 specialities – shirt, trousers and Jackets and course hours varies between 40-100 contact hours. Basic tailoring, focused on standard made-to-measure systems are imparted to adult participants. Presently, THE PRESTIGIOUS is in the regretful position that to have to decline countless talented and passionate souls given that the accepting of Apprentice demands a significant investment on the part of the candidate and on THE PRESTIGIOUS. We are not in the business of charging Apprentice for our training. Instead, we pay Apprentices to learn and thus we are committed to the personal and professional growth of our Apprentices. We want to ensure that each Apprentice has a Long term career track that they may potentially be developed for such. As mentioned, every Apprentice is accepted with the view that they would be partners and part Owners in the THOMAS WONG BESPOKE GROUP. Fresh graduates and mid-career professionals switching to the industry generally have a high expectation that if they are going to commit time (and future) with you, that you must impart genuine skills beyond marketing hype. They are not looking to be sales persons and once they realise that their recruitment into a tailoring house is largely for that purpose, and with all work outsourced, or where the principal’s skills fall short, would last but several months before moving on. Q: From your observations, have women change the tailoring industry in Singapore? LadyBoss also caught up with two former apprentices (Class of 2014) from The Prestigious – Chung MinTzu and Gong Yehua. Both ladies were the from Mr. Thomas Wong’s Pioneer Menswear speciality program in LASALLE who are now junior tailors and partners in the firm. They shared their interest in Bespoke tailoring and spoke about the hurdles they overcame on their journey to being junior tailors. Q: Tell us more about what you do as a Female Junior Tailor at The Prestigious? Yehua: As a female junior tailor, what I do is nothing different from a male tailor would. On a daily basis, we have to draft, sew and make fittings for customers. Apart from that, we have to communicate well with customers to understand their preferences. This includes taking measurements of customers and introducing or choosing the suitable fabric and styles for them. It’s pretty challenging considering I’m not extremely outspoken, so there’s always something new to look forward to every now and then when I meet customers. MinTzu: I started as a apprentice by learning how to do the basic drafting and preparation work (cutting fuse, cutting pattern, doing fitting, sewing buttons…) As a junior tailor , I progress to incorporating knowledge about fabrics and their characteristics into our commissions. Often, I give suggestions on fabric options to customers based on their needs. As a tailor who manages the commission from start to finish, I take measurements and observe different body shapes, draft , design according to customer’s need and sew. Mr Thomas Wong oversees my work and shares his experience and makes recommendations on how I may improve. Q: What is your background and how did it helped your career? Yehua: I was a fashion design and textile student who graduated from LASALLE college of Art. Throughout my studies, I was exposed to various techniques and situations which helped me to acquire knowledge about tailoring. This has helped me find specific techniques and methods to better suit my “style” to draft and create clothes for customers. With my fashion background, it has definitely helped me to be more efficient in picking up new information and methods should I need to adapt accordingly. 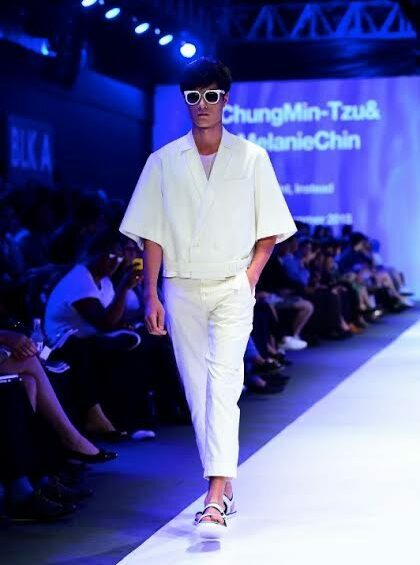 MinTzu: I studied menswear fashion at LASALLE college of the Arts. The course built the technical foundation for me. I focused my design on functional wear without negating an aesthetically pleasing look. Q: Tell us more about the apprenticeship/ mentorship given and how it has helped you. Yehua: The apprenticeship program has helped to guide me and teach me professional methods and standards required in the tailoring industry. It has also helped to increase my confidence through interactions with customers. Most importantly, my teacher from LASALLE, and now my mentor, Mr Thomas Wong has been extremely patient and provided me much support throughout my growth. The past years have helped to make me work more independently. 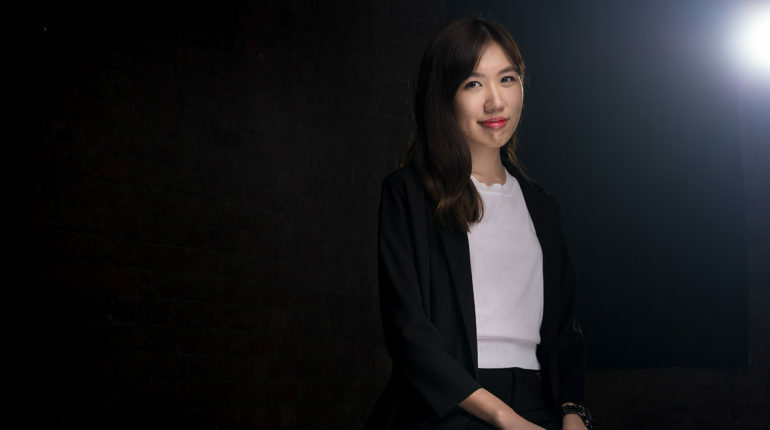 Yehua: Throughout the entire time I’ve been exposed to fashion studies, I would think my graduation collection presented at the Audi Fashion Festival was one of the highlights as I had full creative control of the outcome. MinTzu: For me, I would consider the jacket I drafted and made for myself to attend the 2016 Asia Tailor’s Congress as an achievement. There is no lack of stress when creating a piece which you know fellow tailors who are far more seasoned and experienced would review and judge, and I am Glad to have been able to craft a piece that I could proudly wear in spite of the tight timeline we had. Q: 1 challenge/ obstacle you faced at the start of your career and how you overcame it. Yehua: One of the first challenges I faces was drafting clothes according to different body shapes of customers. Going to school only helped teach us techniques, but in the working world, that changes because every customer we meet has different requirements. But the years of observation and practice has helped me to understand how to draft better. MinTzu: Like YeHua, the major challenge I faced was drafting bespoke patterns meant for each different body shape. If we were designing for ready-to-wear or the simpler “made to measure” systems, that would have been far easier. Right out of school, we jumped into the deep end of the pool by learning bespoke straight away. Q: What do you have to say to aspiring women tailors out there? Yehua: Female tailors can do the same things as our male counterparts, despite this industry being a male-dominated one. I dare say most females pay even more attention to details and can make quality clothing too. Plus, as a woman, we can help a man dress well from a female’s perspective – after all, men do dress up to look good for women. I think a lot of women have potential to progress from being seamstresses and take charge of how a final product should look like. 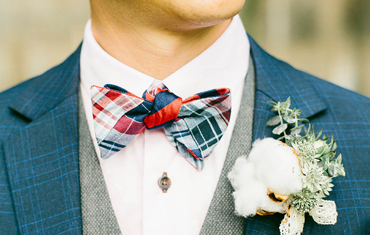 MinTzu: If you set your sights to take on the greatest challenge, and in the case of tailoring, Bespoke commissions, be prepared to face hardship and anguish. Every step is a learning curve and if you are not prepared to rise to the challenge, there often are easier options for you to exit. But if you want the best, ensure that you have the proper mindset for that.